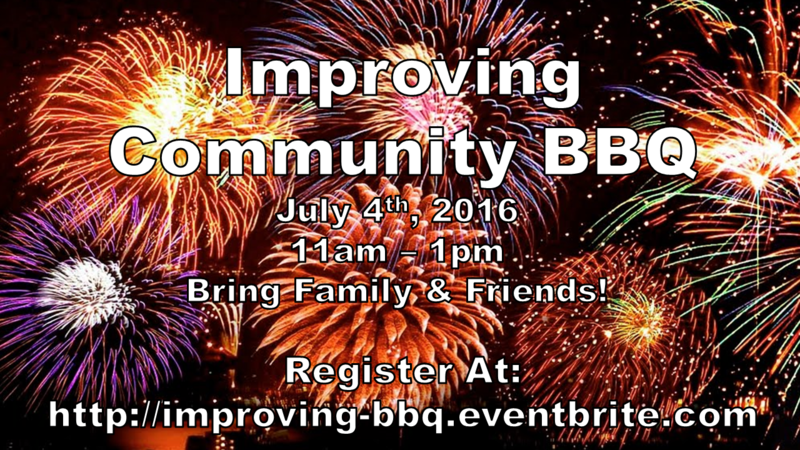 It is BBQ time at Improving, and we’d like you to come! Last year we started what we hope will be a tradition at Improving of hosting a BBQ where we invite all of our friends from the community to hang out, eat BBQ that has been prepared by the talented Improving BBQ Team, and have a good time. In the second year we’ve decided to move the event to a holiday weekend to make it easier on you, and us, to prepare. Fortunately this year the Fourth of July decided to cooperate and land on a Monday, and there you are. You’re free to bring your family and friends, to enjoy this meal with us. Also yes, we will have options for our vegetarian friends as well, so don’t stay away just because it is BBQ. Last year that option included Smoked Sweet Potato, Green Bean Casserole, and Grilled Pineapple. This year’s menu is not yet set, but should be equivalent.